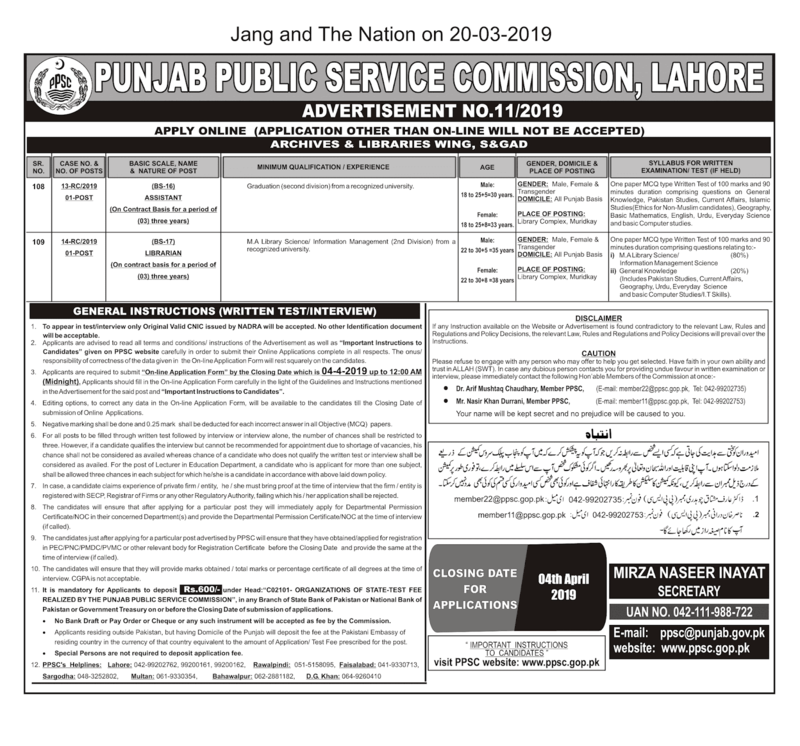 Jobs Description: PPSC Advertisement 11/2019 is given below on our site. Visit our site to view the PPSC Advertisement 11/2019. Punjab Public Service Commission recently announced an advertisement for Jobs in Archives & Libraries Wing. How To Apply: The interested candidates may apply online through the Punjab Public Service Commission official website. Applications other than online will not be accepted. Only shortlisted candidates will be called for test and interview by the PPSC. Incomplete or late coming applications will not be accepted.